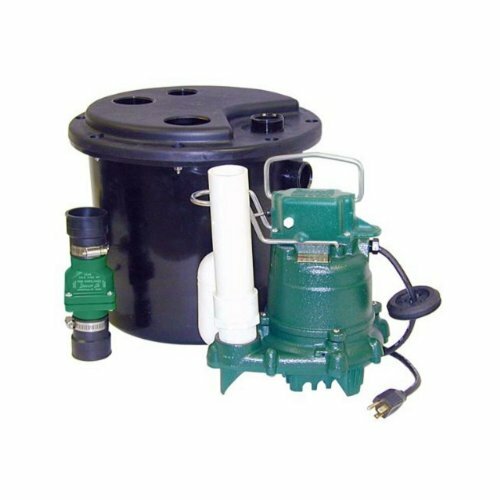 How To Properly Install A Sump Pump, is a very important piece of information if you happen to live in an area with a high water table. Spring can be a time when melting snow and run off can result in water infiltrating the basement of a home. For some people with this issue on their property, pumping the water from below the floor in the basement is a constant operation. They will have a pumping system in place to remove enough water from below the house to keep the level under the floor. When a system of this type is set up it is important to make sure it can handle the maximum possible amount of water that will come in during a worse case scenario condition. This is usually during the spring months and also during a bad storm with heavy rains for sustained periods of time. After the calculations to know you may have 500 gallons per hour to move you can decide how big, or how many pumps will be needed to remove that much water. These pumps come in all sizes and shapes and they incorporate many different kinds of float systems as well as electronic sonar sensors that actually sense when water level rises and come on accordingly completely automatically. This feature keeps the house safe from flooding even if and when no ones home. Installing the right pump and doing it properly can save a potentially huge amount of property damage and also add peace of mind to your life. Keeping in mind the forces of gravity and the fact that all water seeks it's level, there will always be a low spot within every basement. This is where the water takes the longest to dry when moisture is present. Some floors will look level but it's only a fraction of an inch and it does matter if you are looking for a dry basement. After you have located the lowest spot in the basement, you will need access to get below the floor. We are going to be burying a five gallon bucket into a hole we make through the floor. This is an unavoidable step even if your floor is concrete. This home improvement job can get really labor intensive at this point if you must break the concrete bit a small jack hammer can be rented for minimal cost daily and it will break the hole in an hour or so depending on how thick your floor is. After opening the floor we will be digging out the dirt to allow the five gallon bucket to be recessed into the hole. Make it deep enough for the rim of the bucket to be flush with the floor. We are trying to get it so all standing water will run into the bucket. This is a principle only factor. If we are properly sizing the pump, then water will never get up to the top of the bucket. Next we will use a 3/8 of an inch drill bit to drill holes around the base of the bucket on the sides not on the bottom. Make the holes far enough apart so the bucket will still have integrity but close enough so water can easily seep into the bucket through the sides at the bottom of the bucket. If you end up with 100 holes around the bucket you will have ample open space for the water to get in. Next sink the bucket into the hole you've made. Fill in the rough edges with concrete and smooth it all out. Then your pump will be set into the bottom of the bucket and we can begin the piping that will remove unwanted water from under your floor as it rises and before it gets to the top of the floor. 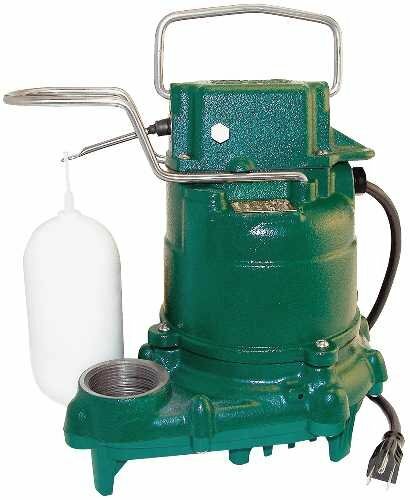 Sump pumps require a check valve be installed on the outlet or discharge side of the piping. This stops the water from running back down the pipe when the pump shuts off. Make sure you pay attention to the directional arrow on this check valve as they will not function properly if they are installed back wards and will cause rapid cycling of the pump. After the check valve the piping must be routed to the exterior of the home and far enough away outside the house to avoid the discharge coming back in to the foundation. Also making sure that when it does discharge it does so where it will slope down away from the home. Use enough hangers to avoid sags in the pipe and it should be pitched out and away from the pump as soon as possible. This action will minimize the work that the pump is required to accomplish when gravity takes over in your properly pitched drain line. This factor also increases the longevity expectations for the pump because it doesn't have to work as hard. Next you'll need a constant electrical connection to run the pump. This should be a GFI protected circuit that has a shut off switch somewhere above the basement so you will be able to shut off the pump should it fail while the basement is full of water. You do not want to have to go down into the water to unplug the pump so this switch becomes very important. Use a garden hose and fill up the bucket with water and observe the system you have installed. Can it keep up with the garden hose? If so then it will most likely handle the seepage your home will experience. Most homes will use only one pump in the lowest spot. Some homes will have more then one low spot. In cases such as this, multiple pumps may need to be installed. As long as the tees are after the check valves in the discharge, then the outlets for multiple pumps can be combined so only one pipe is necessary exiting the home.